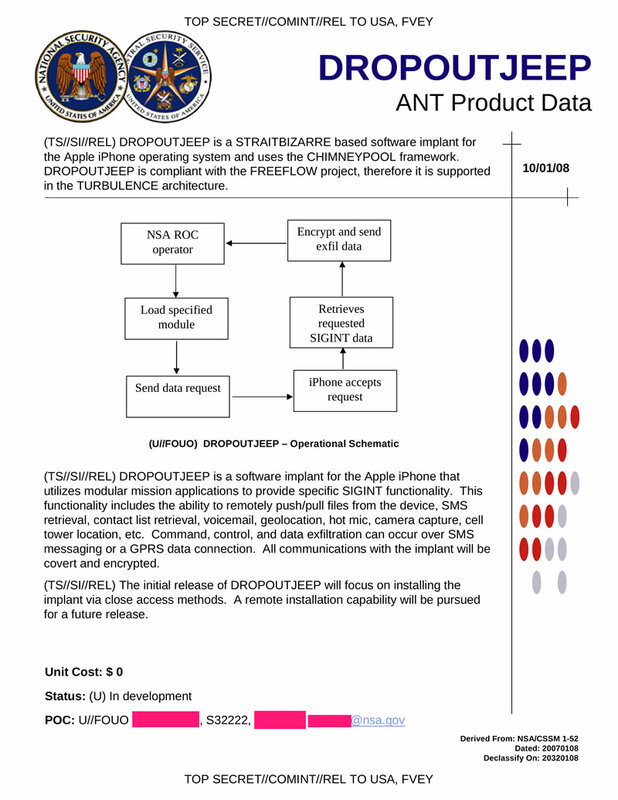 DROPOUT JEEP is a STRAITBIZARRE based software implant for the Apple iPhone operating system and uses the CHIMNEYPOOL framework. 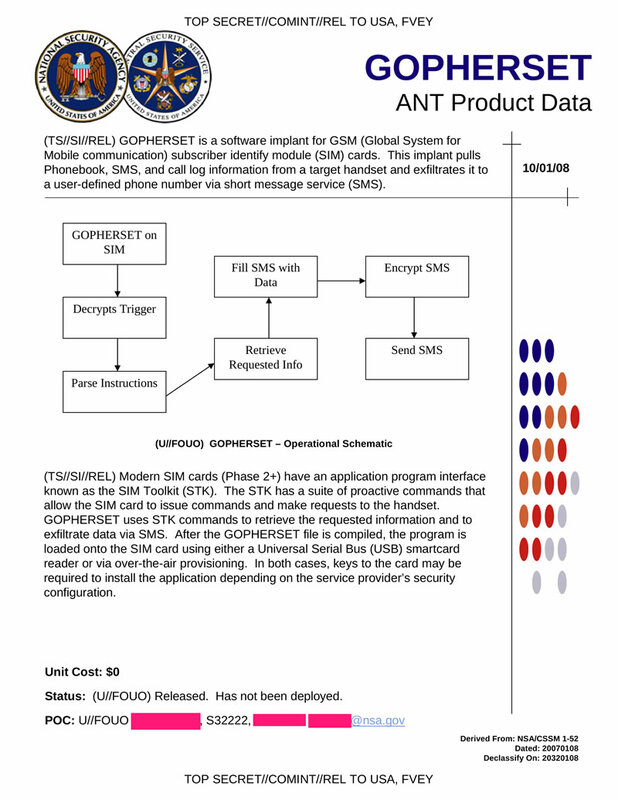 GOPHERSET is a software implant for GSM (Global System for Mobile communication) subscriber identify module (SIM) cards. This implant pulls Phonebook, SMS, and call log information from a target handset and exfiltrates it to a user-defined phone number via short message service (SMS). 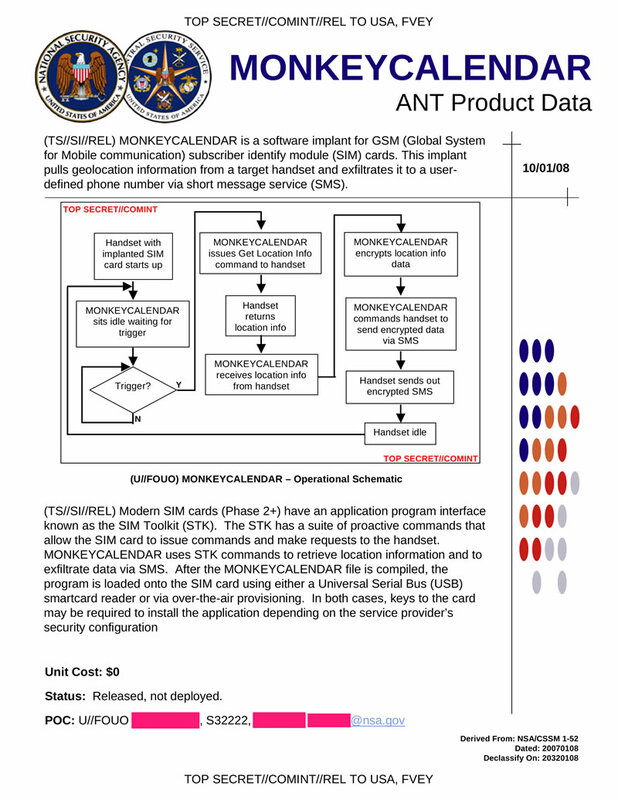 MONKEY CALENDAR is a software implant for GSM (Global System for Mobile communication) subscriber identify module (SIM) cards. 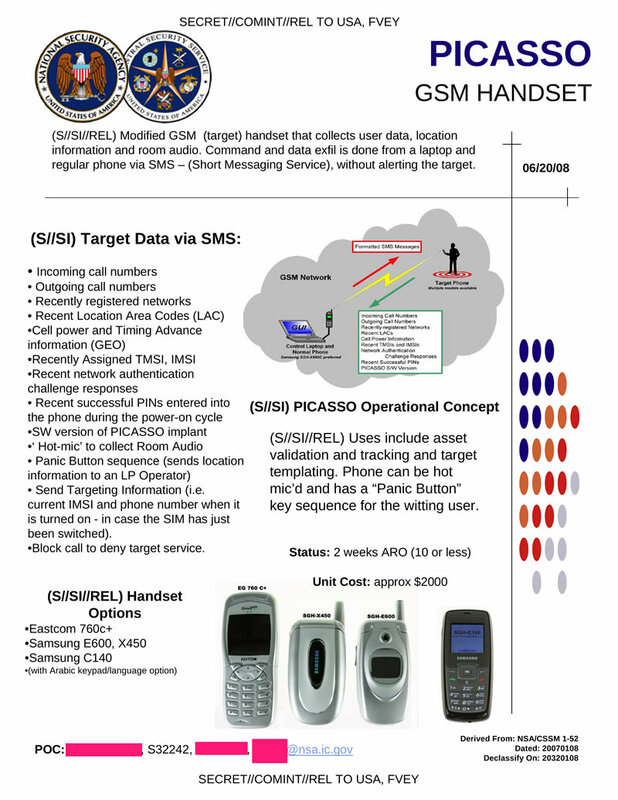 This implant pulls geolocation information from a target handset and exfiltrates it to a user defined phone number via short message service (SMS). 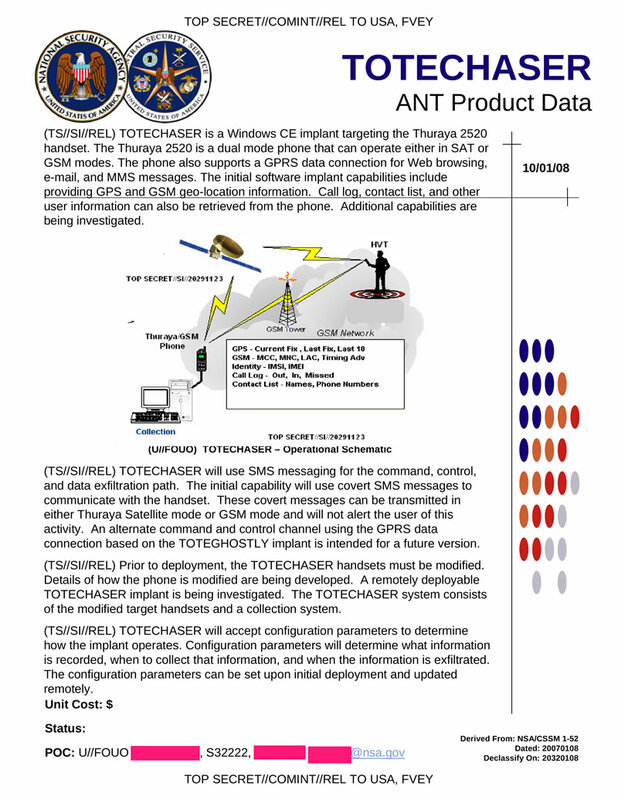 TOTECHASER is a Windows CE implant targeting the Thuraya 2520 handset. 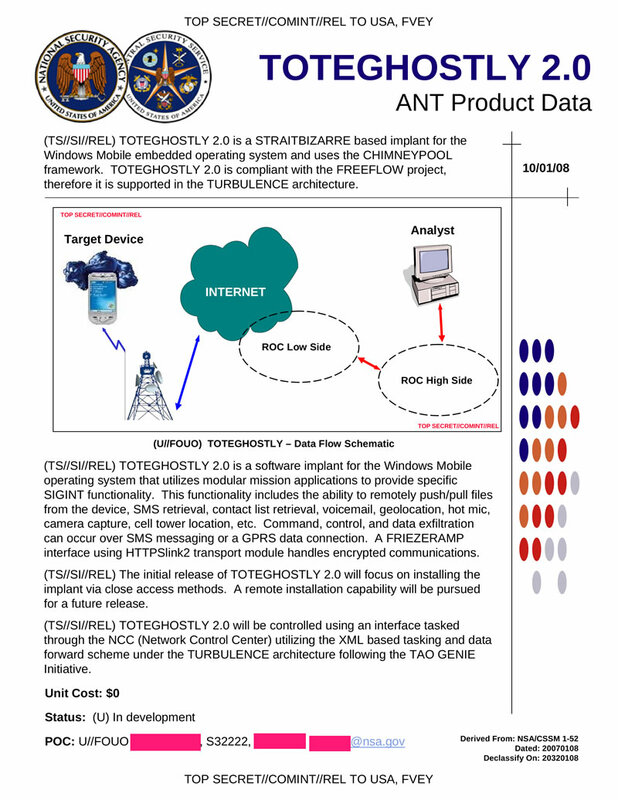 TOTEGHOSTLY 2.0 is a STRAITBIZARRE based implant for the Windows Mobile embedded operating system and uses the CHIMNEYPOOL framework. PICASSO is a modified GSM (target) handset that collects user data, location information and room audio.